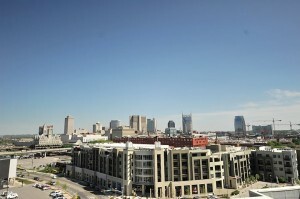 As one of Nashville’s hottest downtown neighborhood’s The Gulch offers up some of Nashville’s best - from dining to nightlife to views. Occupying the space between Music Row and Lower Broadway, The Gulch was converted from over a number of years from unused space to the walkable and thriving community it is today. High-rise condos are most common in this small neighborhood, but don’t let that deter you – you’ll have downtown Nashville as your backyard! With so much happening in just a few blocks, you can stay busy for days shopping, dining, or attending one of the many neighborhood-wide events like the Margarita Festival or Groove in the Gulch. And it doesn’t stop there. With its prime downtown location, you’ll also have the neon lights of Broadway, some of Nashville’s largest museums and music venues, and the popular Midtown within just a few blocks.